The Root Canary project is a joint project of seven partners: SURFnet, the University of Twente, Northeastern University, NLnet Labs, SIDN Labs, the RIPE NCC and ICANN. The goal of this project is to monitor and measure the rollover of the DNSSEC root Key Signing Key (KSK), that is taking placing from 2017 to early 2019. Through this website, we provide information on our project, how our measurement works and pointers to additional resources about the root KSK rollover. 2018-10-23 -- The Root Canary project is not quite finished yet, the next major milestones occur in 2019 when the old root KSK will be retracted. 2018-10-23 -- The root KSK rollover passed without major issues. Read more about the observations of the Root Canary project during the rollover in this blogpost by Moritz Müller from SIDN Labs and the University of Twente. More news items can be found on the News tab. Note: this page only discusses those properties of DNSSEC that are relevant for the Root Canary project. For an in-depth overview of resources on DNSSEC, please visit the Internet Society's Deploy 360 website. Authenticity -- the guarantee that DNS records come from a legitimate source. Integrity -- the guarantee that DNS data was not modified in transit. DNSSEC achieves these properties by using digital signatures, made using public key cryptography. In essence, DNSSEC turns the entire DNS into a Public Key Infrastructure (PKI), with the root of the DNS at the top of the hierarchy. DNS resolvers that support DNSSEC validate the digital signatures in the DNS, to verify the authenticity and integrity of DNS responses. They do this along the so-called chain of trust. This chain of trust typically starts at the root zone of the DNS with the so-called Root Key Signing Key (or Root KSK for short). The key that is currently used as Root KSK was introduced in July 2010, when the root zone of the DNS first deployed DNSSEC. Since then, this key has not been replaced. In 2017/2018, this key will be replaced by a new key for the first time, during the so-called Root KSK Rollover. Problems receiving larger DNS responses -- in certain periods during the Root KSK rollover process, DNS responses to certain DNSSEC-specific queries will be larger than usual, due to the inclusion of additional records relating to the new key. This may lead to IP fragmentation or TCP fallback for these responses, which some DNS resolvers may have trouble handling. Failure to pick up the new key -- as the Root KSK is the trust anchor for all DNSSEC chains of trust, failure to pick up the new key as it is introduced will eventually lead these resolvers to be unable to validate DNSSEC signatures when the old key is retired. In most cases, the new key will be picked up automatically by resolvers, that implement RFC 5011. In some cases, however, this process is not supported by DNS resolver implementations, necessitating manual configuration changes by operators. Also, if for some reason the RFC 5011 process fails on a resolver, it may also not pick up the new Root KSK. This project has two main goals. The first goal is to serve as a virtual canary in the coalmine, that signals problems DNSSEC-validating DNS resolvers may have during the Root KSK rollover process. The second goal is to perform comprehensive measurements of the global DNS resolver population during the entire Root KSK rollover process, from the introduction of the new key in July 2017 until the removal of the old key in March 2018. The results of these measurements can then be analysed after the process completes to draw lessons for future Root KSK rollover events. 2017-11-13 -- There will be a presentation on the Root Canary and our upcoming measurement of the .se ccTLD KSK and algorithm rollover at the IRTF MAPRG meeting at IETF 100 in Singapore. 2017-09-18 -- Moritz Müller from SIDN Labs and the University of Twente will present on Quantifying the Quality of DNSSEC Validation in the Wild at the 27th DNS-OARC workshop in San Jose on September 29th and 30th. 2017-08-25 -- Our poster presented at the ACM SIGCOMM 2017 conference in Los Angeles is now online, download the poster here, and download the extended abstract here. 2017-07-12 -- Willem Toorop from NLnet Labs will present on the Root Canary during the upcoming IEPG meeting on Sunday July 16th, co-located with IETF 99 in Prague. Download the slides here. 2017-07-10 -- We now have a preliminary status page for the RIPE Atlas measurement online. This status page shows the validation status for all RIPE Atlas probes that have successfully executed our tests in the past 4 hours. 2017-06-27 -- The extended abstract we submitted to SIGCOMM 2017 about the Root Canary project was accepted and will presented as a poster at the conference. 2017-06-21 -- Our algorithm test now completely loads over HTTPS. 2017-06-16 -- Added algorithm test that test the DS and DNSSEC signing algorithms supported by the resolver(s) configured on your system. 2017-06-08 -- The RIPE Atlas part of the Root Canary measurement is now operational. All RIPE Atlas probes will test DNSSEC validation on configured resolvers, for three different DS algorithms (SHA256, GOST, SHA512) and for all currently supported DNSSEC signing algorithms. 2017-05-12 -- Roland van Rijswijk-Deij will present on the Root Canary project at the DNS-OARC meeting in Madrid on Monday May 15th. 2017-05-12 -- Skeleton website is up. The Root Canary project is a collaboration between the SURFnet, the University of Twente, Northeastern University, NLnet Labs, SIDN Labs, the RIPE NCC and ICANN. Click on "Start test" below to test which DS algorithms and DNSSEC signing algorithms are supported by the DNS resolver(s) configured on your system. ICANN Root KSK Rollover page -- dedicated web page from ICANN, the organisation responsible for the root zone of the DNS, about the Root KSK rollover process. Internet Society Deploy 360 -- The Internet Society's Deploy 360 Program provides extensive information about the deployment of modern Internet protocols, such as IPv6, DNSSEC and associated technologies. 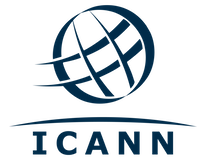 Guest blog post -- by Matt Larson from ICANN on the APNIC blog about the DNSSEC Root KSK rollover.